We provide complete locksmith services. We are an automotive locksmith company that can get you back in your vehicle, as well as provide for all your home and business security needs. 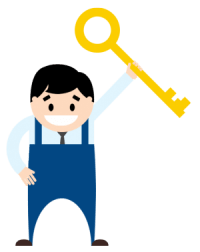 To familiarize our customers with the products and services we offer, we’ve provided the following locksmith glossary. a US Federal law regulating building access for those with physical disabilities. an unscrupulous practice where a low price quote is given then increased when work is done. a key for easily opening a pin tumbler lock. Locksmith Glossary https://24hourslocksmiths.com/locksmith-glossary/ 3.0/5 based upon 14 reviews.